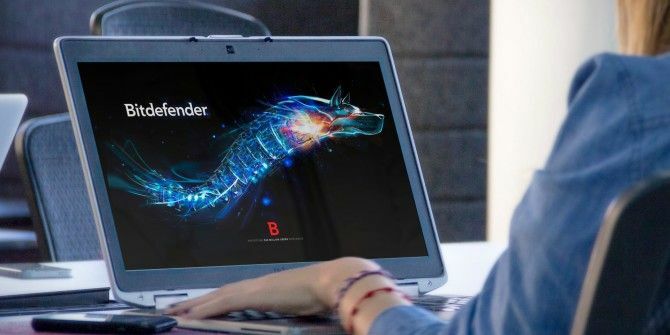 Offering anti-virus, privacy protection, safe banking, firewall and parental control for just $79.95, Bitdefender Internet Security 2015 would seem to be the optimum choice for anyone looking to give their home computer security a boost. Bitdefender’s protection has been well-regarded over the past few years, regularly scoring ahead of Kaspersky, Symantec and McAfee in a number of reviews, and is now considered one of the main online security solutions. Bitdefender Internet Security 2015 builds on these past successes – but does it deliver on its promises? In this giveaway, we’re offering unlimited licenses for Bitdefender Internet Security 2015 for Windows with 180 days validity. The license must be activated during the giveaway, and you may activate as many as required. What’s On Offer With Bitdefender Internet Security 2015? Bitdefender Internet Security 2015‘s most basic package is a one-year licence for use on three PCs, making it ideal for the average household equipped with a desktop and a couple of laptops. Other options are available, up to ten PCs and three years. Boasting unparalleled security for your online banking, cloud-controlled anti-spam tool, automated profiles that detect what activity you’re engaged in (blocking any notifications that might slow your progress in a document or game) and the Bitdefender Autopilot manager for making security-related decisions without your input, Bitdefender Internet Security 2015 is aimed squarely at security newbies and anyone who wants to “fire and forget” – leaving their online security solution to just get on with keeping things tidy. Meanwhile you can rely on the Quick Vulnerability Scanner to check for missing Windows patches and outdated software, Active Virus Control to monitor processes in real time, and Rescue Mode which reboots your computer into a trusted environment for performing clean up if rootkits and other threats cannot be removed by usual means. The suite also offers Remote Management to repair security issues over the web using MyBitdefender and an Online Dashboard that displays your computer’s status. A USB Immunizer cleans flash drives of any viruses, while a useful Security Widget can sit on your desktop offering current status of scans and drag-and-drop support of any document or file you want to check. A Security Report can be accessed to check your system’s security status over the previous week. In addition, Social Network Protection checks for Facebook threats and search engine results are checked for you so that you don’t visit scam sites. Pay Online in One Step is an online wallet that speeds up and secures online payments, while Parental Control enables you to block inappropriate content and block web access as well as providing remote monitoring tools for your child’s online behaviour. Finally, Bitdefender Internet Security 2015 claims to feature the same impressive scanning speed and detection rate as its predecessors, which it does by adapting to each PC it is installed upon. These are all impressive features, so let’s see how Bitdefender Internet Security 2015 delivers. An Internet security suite should always have anti-virus, live scanning and a firewall tool, and Bitdefender Internet Security 2015 features all three, as well as a spam management tool. A click of the Protection button will display the various tools that are on offer, with scanning options listed under Antivirus. Quick and full System Scans are available, while external storage can be scanned by creating a new custom scan in Manage Scans. Meanwhile the Vulnerability Scan checks your PC for apps that need updating, such as Adobe Flash Player. Live scanning takes place constantly, and can be checked on in the Windows Task Manager. You can alter the sensitivity using the Intrusion Detection System settings, where three options, Permissive, Medium and Aggressive can be selected. Firewall settings are initially simple in Bitdefender Internet Security 2015, with a basic on/off switch as well as default options to block ICS and port scanning. Wi-Fi connections can be monitored if chosen, while adding rules for executables is happily undemanding. Network Adaptors can also be managed here, enabling you to alter the Windows designation and stealth mode. Network Exceptions proves a quick and easy way to bypass any blocks to a trusted location. Cloud Antispam integrates with your compatible email application (see below) and instantly helps to cut the crap from your inbox. As the name suggests, it utilises cloud technology to identify and block spam entering your email app, which it improves using samples you submit. Most useful perhaps is the Security Widget, which can be launched from the System Tray. This is a useful black square that displays your security status and acts as an easy drag-and-drop target for files you want scanned quickly. A growing concern for many Internet users is the safety of online banking and transactions. 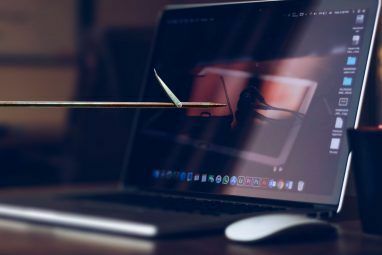 Bitdefender Internet Security 2015 features a Web Protection tool that helps to protect against fraud and phishing, as well as monitor SSL to ensure the connection remains secure. A whitelist of “safe” sites that you don’t wish to be checked can also be added here. SafePay and Wallet are provided for users to make online transactions in secure safety, whether you’re shopping on Amazon or simply want to access the secure area of your online bank or even your own blog. The Tools button will take you to a collection of Tuneup options, which include things like a startup optimizer and the Oneclick Optimizer which is essentially a disk cleanup that covers Disk, Registry and Privacy issues. A Disk Defrag, Registry Cleaner, Registry Recovery and Duplicate Finder are also included here, along with settings for Bitdefender Internet Security 2015’s Profiles and the Bitdefender Safego tool for safe social networking on Facebook. If you regularly add and remove USB flash devices to your computer, the USB Immunizer is designed to scan for such devices and ensure that no malware is exchanged between devices. Watch out for the surprise unmounting and mounting of any attached USB devices several minutes after installation; other than one-off event this the USB Immunizer works well. Perhaps the most important of the secondary features in an Internet security suite is parental control, and Bitdefender Internet Security 2015 offers this feature via the MyBitdefender web portal. The idea is simple: you create a profile for your child, connect their Facebook profile where appropriate and then use it to monitor their activity on one of your Bitdefender licensed computers. Reports can be created to summarise activity. MyBitdefender also provides access to the Facebook Protection tool, which helps to block malware links from being shared on your profile. Note that you may experience issues linking your account to your installation. Restarting the browser should help here. For this review, Bitdefender Internet Security 2015 was tested on a Microsoft Surface Pro (first generation) 1.7GHz Intel Core i5, 4GB RAM. Good mid-range specs for testing a security suite intended for a minimum specification of Windows XP SP3, 1.6 GHz CPU, 1GB RAM and 1 gigabyte of free space. Bitdefender Internet Security 2015 requires Internet Explorer 8 or later and Microsoft .Net 3.5, which it will auto-install if you don’t have it on your system already. Various apps are supported for Internet security integration, such as Yahoo Messenger, Skype, Firefox 14+, Chrome 20+, Thunderbird 14+, Outlook 2007+, Outlook Express and Windows Mail (x86). Windows 8 Mail isn’t supported, and neither are Firefox forks such as Waterfox. On the Surface Pro, Bitdefender Internet Security 2015 appears to run well. As advertised, there are few pop-ups, and existing Windows exceptions (such as connecting to my media centre via SSH) seem to have been adopted. No noticeable issues have been spotted with performance. When performing a scan, Bitdefender works with the available system resources, and in this example above uses just under 40 percent of the CPU. Alongside Antivirus Plus 2015 and Total Security 2015, Bitdefender Internet Security 2015 is the ideal mid-range option fulfilling all but the most extreme digital security requirements. How Do I Win A Copy Of Bitdefender Internet Security 2015? Explore more about: Anti-Malware, Bitdefender, MakeUseOf Giveaway, Online Security. I have heard a lot about Bitdefender so I decided to try it. The first thing it made me do was uninstall my current security (Paid AVG). Then it goes through the whole install process before a window pops up that says it can't find the INSTALL.ORG file. So now I am without protection. Re-installed my AVG with no problems so it must not be my computer. I don't see where I can unlock the "actions" or do what above?? except to download bitdefender? Also couldn't find where to log in today?? Can you either email me with instructions or make them clearer?? Ok I found everything once I logged in with Facebook, clicked to download then the items to get the code showed up. However in the end only got Bitdefender for 163 days instead of 180 days??? Now I don't know why but it maybe as I don't use Tweeter so I couldn't Tweet about the deal I didn't get the extra days..... seems kind of cheap that I get dinged days for not Tweeting??? Seems rather bullish, I have to like, follow and talk about a product I have no clue about in order to test drive it? How is that even close to being honest marketing? While the offer looks good I refuse to support the shady marketing efforts of a company based on having to basically give out my recommendation where I don't know squat about the product. This is what is wrong with marketing today and this is why it is getting easier for companies to pass off inferior products and make profits and it is cold, calculating and WRONG! Fake likes does not translate to quality in any way shape or form! I couldn't agree with you more. For years I have boycotted any program that required liking it before even trying it. It is a dishonest practice that I will not support. The world is full of enough charlatans and frauds with our aiding them. Good for you. I like your stand. There has to be a better solution than this which seems to be giving a lot of people here more pain than any gain...suggestions ? How do you qualify as a giveaway when one has to pay for it ? The code is delivered in the widget, after 3 actions. I down loaded this and it toook all my settigs for IE and Chome away. I had to go in and recustomize them. Once I did that I also had to make sure all my favorites where trusted or they where blocked. I think this is a good Anti Virus program if you dont need a deep scan. In other words this program does not get the root or the Kernel with in apps or programs. This is true for the malware part of the program as well. But all in all I like this program. I think I will have to get use to it as well. Hey there! You must complete at least 3 actions so the code will be revealed. My Bitdefender only gave me 30 days, I didn't get a code, any ideas ? I did the tasks via the widget. So where does one put this code exactly during the installation?